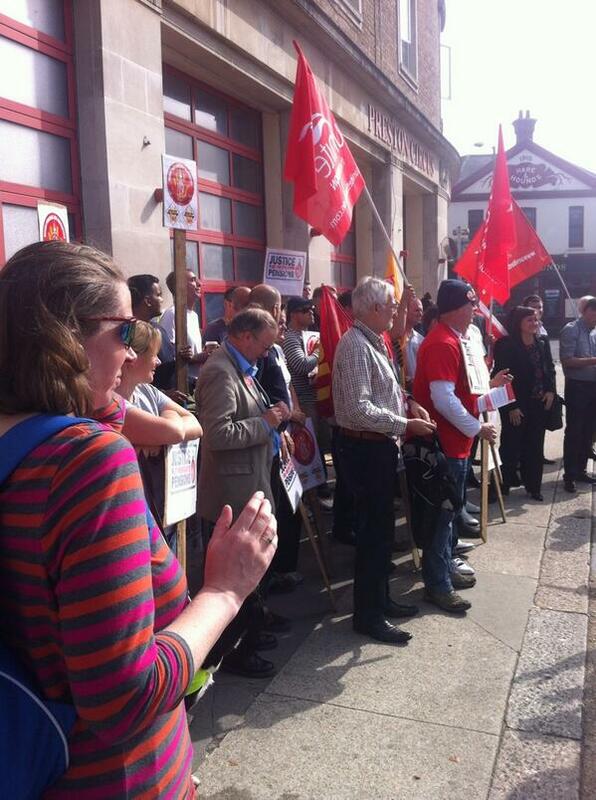 On 25 September 2013, Sussex LRC members were out supporting pickets as firefighters held a 4 hour national strike across England and Wales. This was a “warning short” in protest at the Coalition’s refusal to negotiate on their ridiculous and unworkable plan to raise firefighters’ pension age to 60. You can support firefighters by writing to your MP to protest against these changes using the handy templates provided by the FBU. 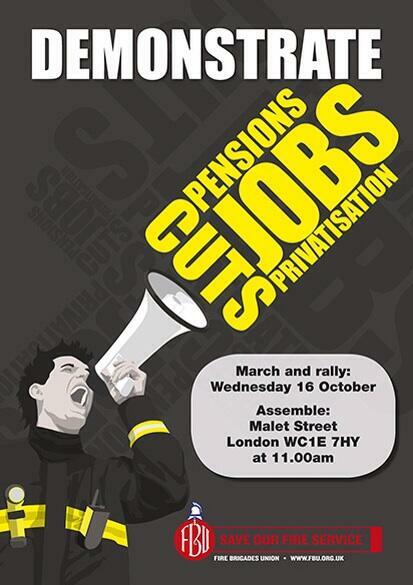 With the national FBU demonstration in London on Wednesday 16 October, Brighton & Hove LRC has invited a local FBU representative to speak to our next meeting. The Fire Service is facing more huge cuts under the Coalition. Tory Fire Minister Brandon Lewis wants privatisation as London Mayor Johnson undemocratically ignored 94% public opposition to push through his cuts. Only Labour Boroughs seeking judicial review now stand between Londoners and Johnson’s reckless cuts to London’s Fire Service. With Tory-controlled authorities in East and West Sussex, that route would be an unlikely option here. We must stand together now to defend our Fire Service. Teachers are also facing unprecedented attacks by the Coalition. The teachers’ unions, NUT and NASUWT, have responded to Gove’s systematic privatisation of education and unremitting attacks on teachers’ authority, status, pay, conditions and pensions, with a rolling programme of strikes. On Thursday 17 October, NUT and NASUWT members will strike across the South East. Brighton & Hove LRC will discuss how best to support teachers locally.